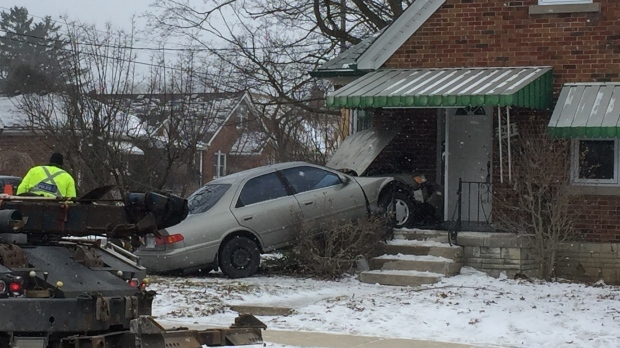 A car left the road and ended up on a house’s front porch in Kitchener on Friday. Officers were called to Sydney Street South and Courtland Avenue East around 1:15 p.m.
It’s not clear how exactly the car ended up leaving the road. Police say that the person inside the vehicle struck the house with the car and then took off. 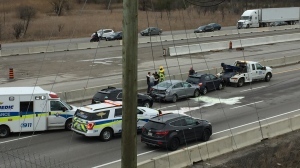 A Kitchener man, 28, was arrested as a result of the investigation. Police say charges are pending.